The symmetrically placed perforations help reduce turbulence and cavitation. 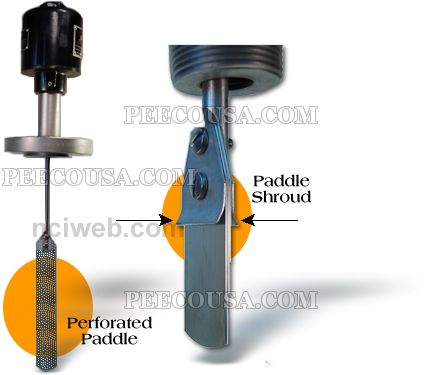 Excessive turbulence and build-up of vacuum behind the paddle is prevented. This design is also ideal for violent flows. Re-enforces the stem and paddle. Relieves stress concentration around the screws. Available on all models except tee styles.